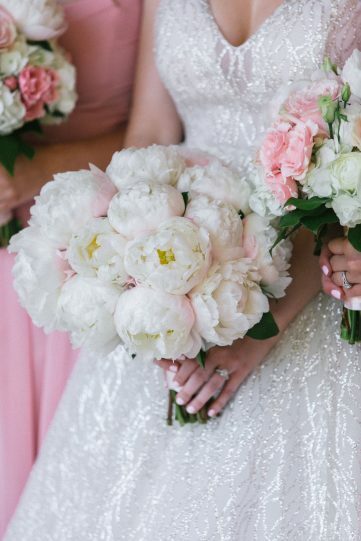 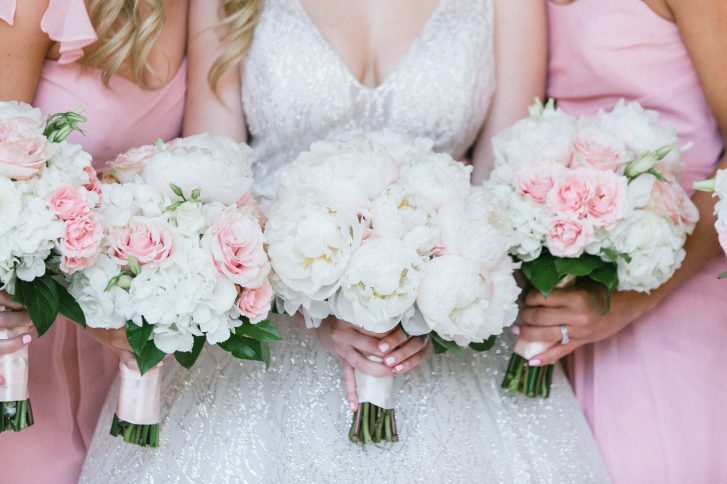 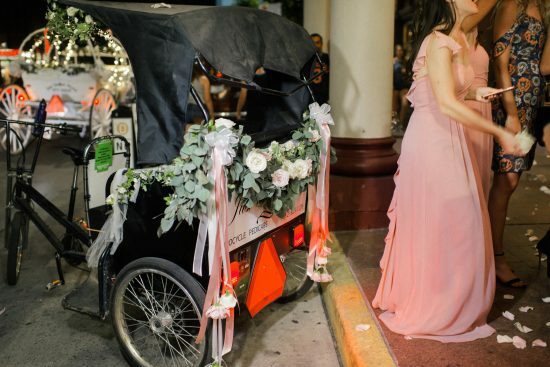 We are a peony loving group at Bouquets of Austin,so when this sweet bride showed up with the same love of peonies, we knew we were a match. 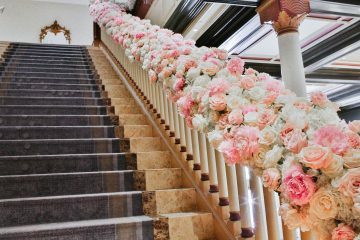 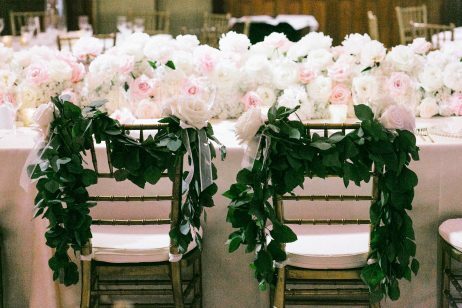 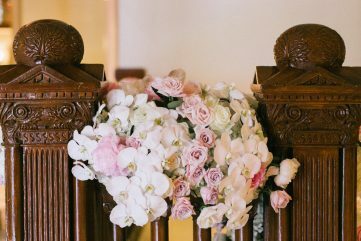 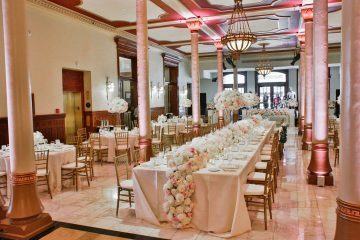 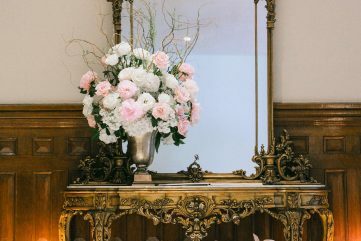 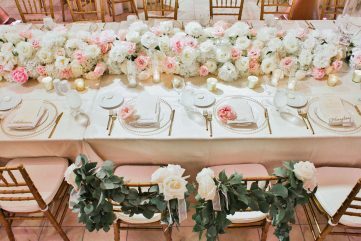 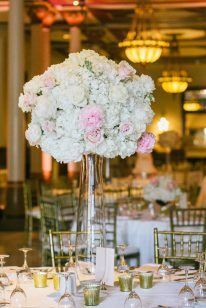 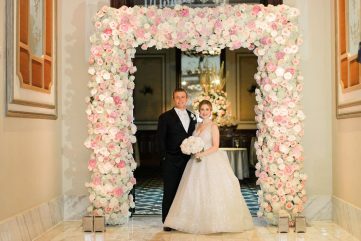 Therefore, our goal was to fill The Driskill Hotel’s mezzanine and ballroom with lush blush and white blooms focusing on peonies. 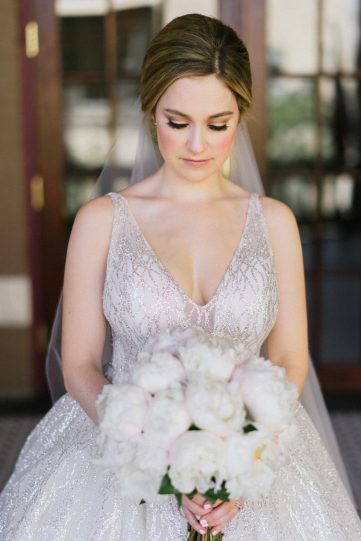 It was a challenge we were happy to tackle. 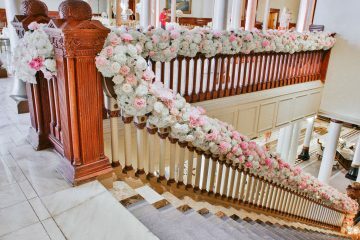 First,we covered the staircase bannister leading from the lobby to the mezzanine. 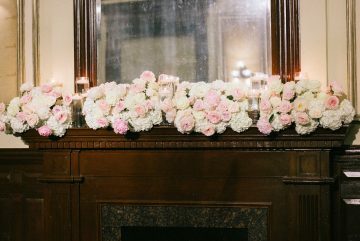 It was a great way to welcome friends and family. 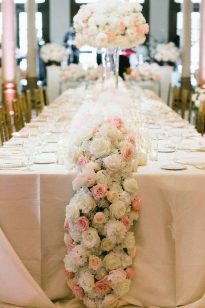 Then, the Mezzanine featured a grand head table. 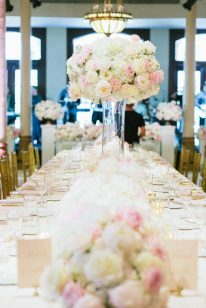 The head table was flanked with round dinner tables. 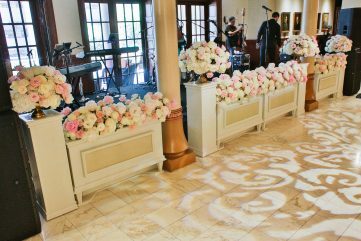 With a final design of a floral embellished dance floor to party the evening away. 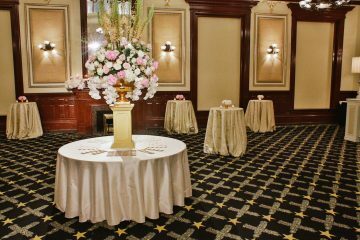 And finally, our personal favorite design was the doorway between the ballroom and the mezzanine. 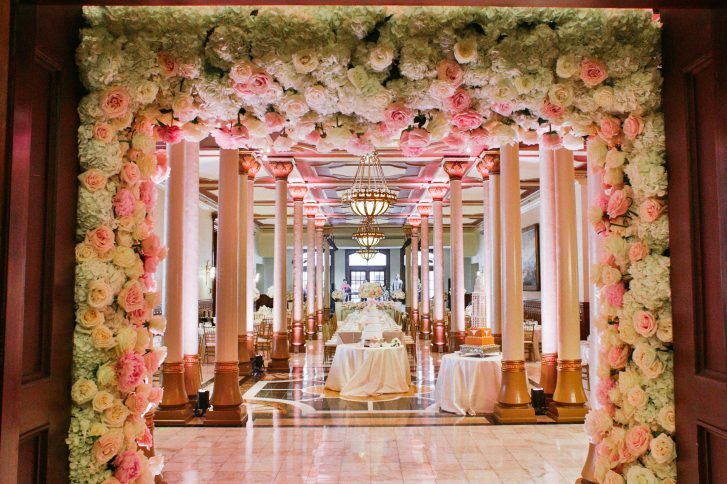 Guests cocktailed in the ballroom and entered through the floral covered doorway. 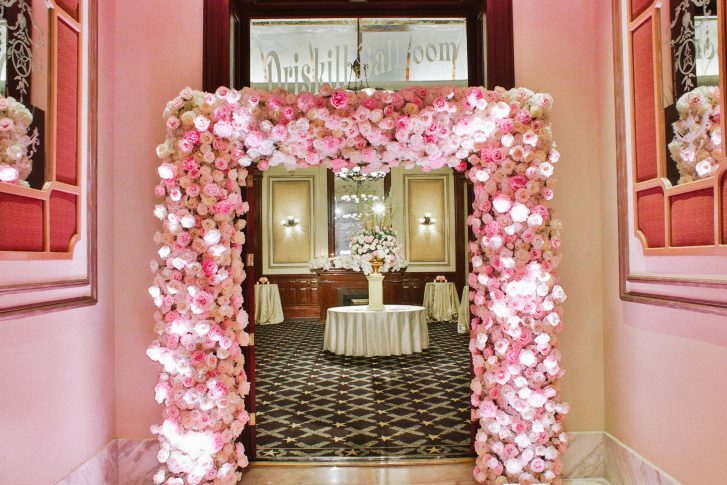 This was definitely one of our all time favorite events to date. 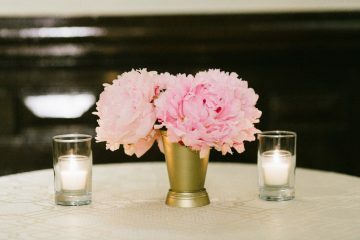 If peonies are on your must have flower lists- our Texas market has the most availability mid May to mid June- they are available a few weeks before and a few week past this time but the quality, price and availability can be issues. 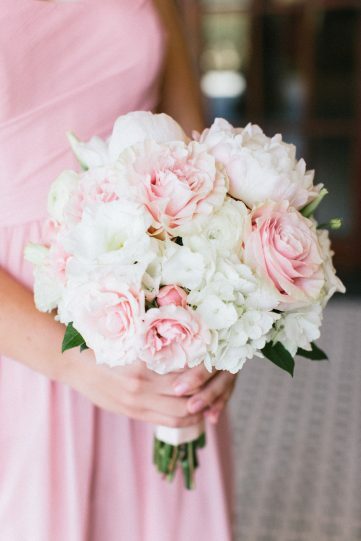 Our winter season is mid December to mid January and most of the winter peonies come from the southern hemisphere. 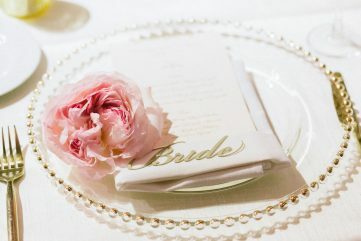 Thanks to Becky at Pearl Events for the precise planning.